Are you looking for a large 50 inch LED TV for your home or office? Then this article is for you. 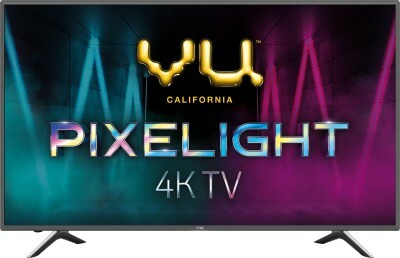 We have compiled a list of best 50 inch LED TVs available in India as of April 2019. The LED TVs are priced between Rs. 35000 and 50000. In this list of best 50 inch LED TVs you will find 49 inch and 55-inch sizes included as well. The 49-inch size is standard across brands so we have included those. In this list, we have covered top 50 inch TVs from brands like LG, Samsung, VU, Sony, Kodak, Panasonic and more. These brands offer high-quality products and a decent after sales service. Resolution of these TVs is Full HD and 4K Ultra HD. If you are looking for 4K resolution only then take a look at best 4K TVs from 30k to 40k. Both non-smart and smart LED TVs have been included in this list. Smart TVs usually cost 3000-5000 more than non-smart TVs. So if you are on a tight budget you can go for non-smart TV. Later if you want to turn your non-smart TV into a smart TV, you can buy Google Chromecast or Amazon Firestick. Both these dongles connect to your TV via HDMI port and have WIFI capabilities so you can play videos and movies directly in a non-smart TV with the help of any of these dongles. Google Chromecast is available on Flipkart and Firestick is available on Amazon. Here are the links to buy them: Buy Chromecast on Flipkart and Buy Firestick on Amazon. Below you find a brief review of every LED TV with its pros cons and specifications. Price and buy links are also provided for every LED TV. Prices keep changing so you should check the latest price and available offers by clicking on links provided. Let's take a look at best 50 inch LED TVs in India. 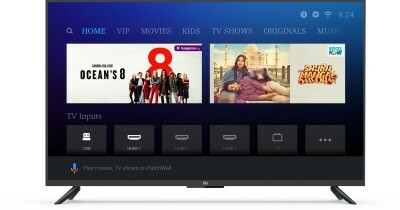 This is the latest 2019 series Smart TV from Samsung and is priced very attractively in India to take on new brands like Mi, TCL, Thomson, etc. It is 50 inch LED Television with Ultra HD 4K resolution display which looks gorgeous. 4K displays have 4X pixels as compared to a normal Full HD display. More pixels means you can see the finer details. The color reproduction of the TV is great and they look natural. The viewing angles are excellent and you can change brightness according to your preference with ease. Another great thing about the display is the thin bezels. Overall, it is a great package and provides an immersive viewing experience. The sound output of this TV is 20W and there are dual speakers. The sound is clear and loud. External speakers can be connected if you need more loudness. Samsung has added an interesting feature for music lovers which is called Unbox Tune Station. It is an Innovative Tune Station which will add visual experience to your playlist by turning your TV into a virtual music system. To connect other devices, there are 2 HDMI ports and 1 USB port. It is a Smart TV so you won't be using these ports much. You just need to connect your tv to WIFI and there are plenty of apps already installed to stream your favorites movies and tv shows. This is an amazing 4K smart tv from Samsung and the value for money it offers makes it one of the 4K LED TV under 50000 in India.